If you or anyone you know is getting involved in Movember this, uh, November, you could do worse than invest in this limited edition ‘tash comb from my pals at Kent Brushes. Perfect whether you’re struggling to get to grips with your new handlebar, or you’re a long-term fan of facial furniture. It’s only £2.25, and one quid goes to charity. 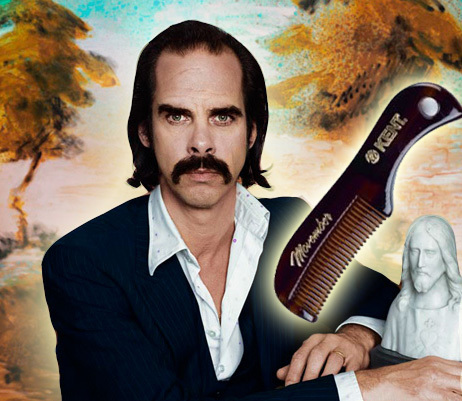 *This product is not endorsed by Nick Cave. But any excuse, eh? I guess I’m not allowed to buy one of those for myself if I’m a girl…?